Tool-making has been an essential part of humankind's survival. 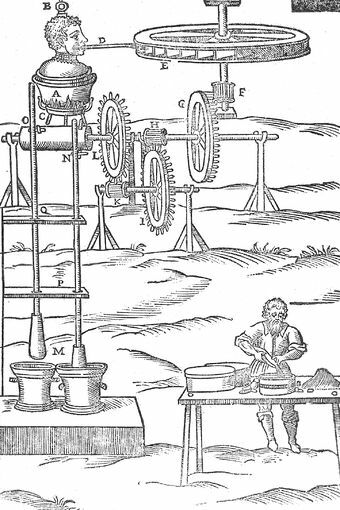 The earliest manipulation of material to form tools soon led to the development of the six simple machines--the pulley, inclined plane, wheel, lever, wedge and screw—which allowed for the construction of more complex machinery. Mechanical engineering developments allowed for intricate mathematical and astronomical aids, for the increased production of agriculture, and the following the Industrial Revolution, the development of mass manufacturing plants. This page was last edited on 9 January 2015, at 14:35.